I’m not sure when I first became aware of this movie from 20th Century Fox. It probably came on TV during a Sunday afternoon rainy day when my age was in single digits. I first saw it in color on AMC in the mid-1980’s. It wasn’t until recently that I was able to get a copy on DVD to view. It’s a classic western picture in glorious Technicolor with cowpokes, Indian attacks, even a cameo by Marilyn Monroe, with a narrow gauge steam train running through it all. The locomotive is the former Rio Grande Southern #20, a three foot gauge 4-6-0 which is now preserved at the Colorado Railroad Museum in Golden. 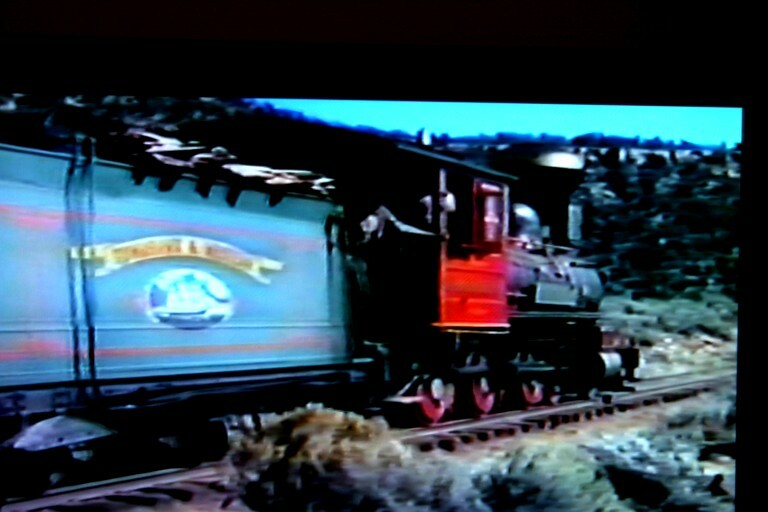 It was gussied up in a garish paint scheme for the movie, named the Emma Sweeny, and filmed along the ex-Denver & Rio Grande Western Railroad’s Silverton branch. For filming closeups, the studio created a portable, lightweight replica of the locomotive which was later used in the popular television series, Petticoat Junction. A Ticket to Tomahawk’s spectacular scenery re-kindled the public’s interest in the D&RGW’s Durango to Silverton line and it is now a popular tourist destination in southwestern Colorado. 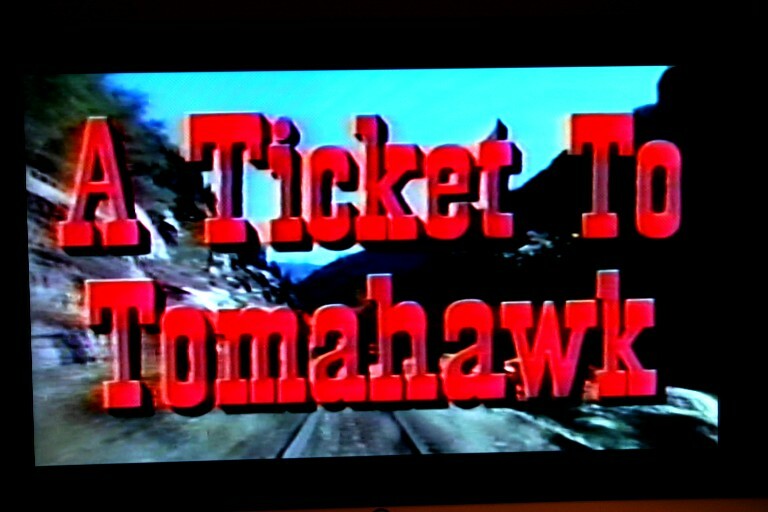 See what IMDb has to say about “A Ticket To Tomahawk”. Emma Sweeny makes track speed on the Tomahawk & Western. This entry was posted in Uncategorized and tagged A Ticket to Tomahawk, Denver and Rio Grande Western Railroad, Marilyn Monroe, Tomahawk and Western. Bookmark the permalink.